Abakus Solutions together with Right Brain were behind the redesign of Ihac.eu. IHAC, The Institute for Hospitality Assurance Certification, is a free online Hotel Directory that provides detailed and objective listings. Ihac.eu includes hotels in several destinations from the westernest point of Europe to the Middle East with destinations fast increasing in their portfolio. The website, IHAC.eu and its content information, is available in 12 languages. 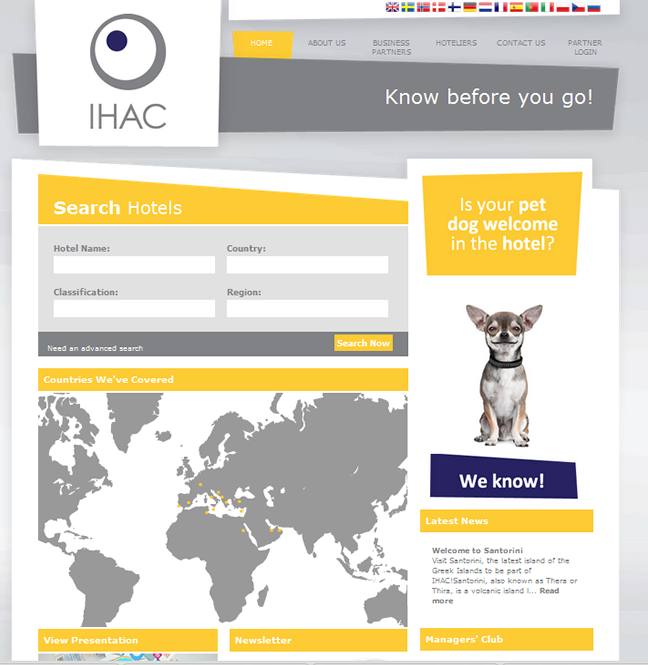 Visit Ihac.eu for a world of information. My experience with Abakus Labs is one of great satisfaction. Your staff is always there to help and service is prompt. The back end of the website is easy to access and very user friendly. To sum up everything in one word I would say excellent.